July 4 marks the 20th year of Italiano, arte e cultura (“Italian, art and culture”), the Italian Summer School for Foreigners, organised by the Comitato Torino Università Estate (TUE) of the Università degli Studi di Torino, in collaboration with Centro Linguistico di Ateneo CLA-UniTO and Città di Torino. In 2018, it will take place from July 4 to July 26. The intensive language course, held by qualified professors, include a wide variety of cultural activities: seminars, tours, day trips, tastings and many other opportunities to learn about and appreciate completely the Piedmontese region. For 20 years, the strenght of our Summer Schools has been the chance of combining a high-quality Italian language course with the experience of an unforgettable holiday in Piedmont. A full-immersion in the Italian culture with TUE staff, young interns of the University of Turin and Master students of the Dipartimento di Lingue Straniere in Promozione e Organizzazione turistico-culturale del Territorio. 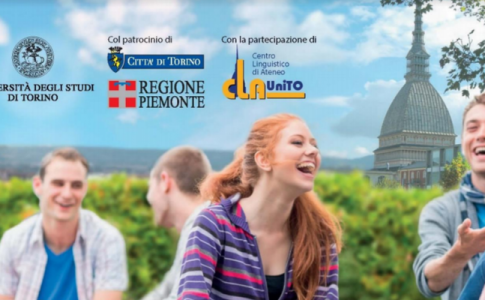 Since 1998, TUE Summer Schools have started a twenty-year-old tradition of excellence in teaching L2 Italian, becoming a project of promotion of our area and of our cultural heritage for foreigners coming from every part of the world. The Summer School is oriented towards students, teachers, professors, doctors, researchers and scholarship recipients, but also to freelancers and foreign workers, citizens living in Turin and everyone who is interested in studying Italian. Courses are available in all levels, from pre-A1 to C1, according to the criteria of the Common European Framework of Reference. This year, there will be a chance for foreign students of gaining ECTS credits which they can use in their University. You can find information on enrolment, costs and stay, on the website www.italianoperstranieri.unito.it. The Summer School “Italiano, arte e cultura” (Italian, art and culture) turns 20! We will celebrate on Wednesday, July 4 in Sala Principe D’Acaja of the University of Turin, in Via Verdi, 8.